Vern was raised on the family farm, which included an implement dealership, in Big Springs, NE. At the age of 12 the family moved north of Midland, SD. At 19, he joined his parents, Eugene & Irene Armstrong, in purchasing a large ranch adjoining the home place. It became known as the Diamond Ring Ranch. Including leased property, it developed crop and irrigated ground. By 1979 the operation of 44,000+ acres had 31,500 crop, 1,350 irrigated, with balance being grassland. This included a 3,400 feedlot and 350 cow/calf herd. The South Dakota Statistical Services stated it was the largest operation of its kind in the State in 1979. With the sale of the operation in 1982, he moved to San Diego, CA, obtained a California Real Estate License while joining a Mortgage Brokerage firm. He then obtained his license for real estate syndications. He became a partner in an all-natural Beefalo business. In 1984 he co-founded H & A Financial providing financing for real estate and development loans over $1,000,000. By late 1986, Vern, missing farming, returned to South Dakota. Armstrong Farms evolved with leasing and custom farming, operating near 17,000 acres. In 1999, Armstrong Farms was restructured with farming operations hired out. That fall he founded The Ag Agency which offered MPCI Crop Insurance, including financial consulting, farm management, and lease negotiations. In 2002, Armstrong Farms resumed operation of a couple of the prior leased farmland. In the spring on 2016 he retired from farming all together after 50 years. 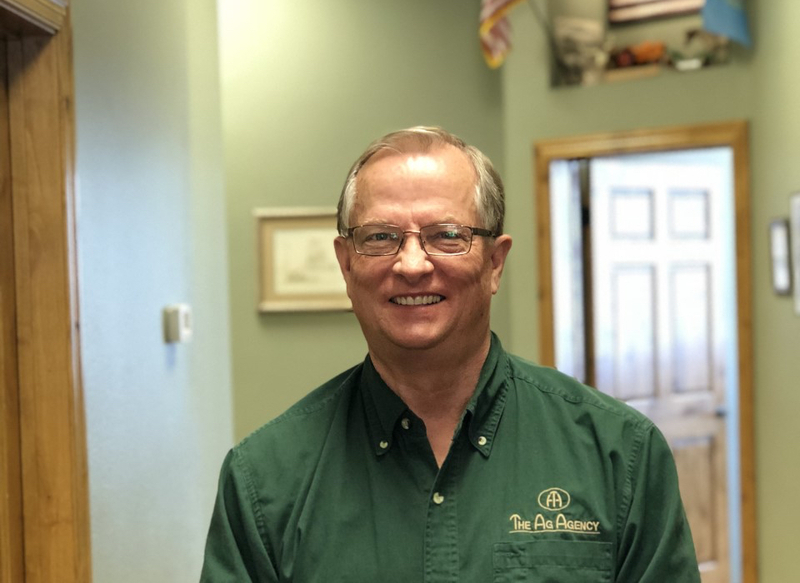 In 2012, Bob and Vern purchased an established Property & Casualty agency (now Security Insurance Group) and brought that operating into the same offices where The Ag Agency, Inc. is located. He continues working to grow both businesses. He and his wife, Hope, enjoy spending time with children and grandkids, boating, tinkering on classic cars and antique Minneapolis Moline tractors. He continues to study crops, soils, and natural health solutions, all the while asking for God’s guidance in making this a better world.